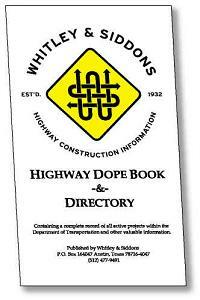 The Dope Book is a must have reference tool for all players in the Highway Construction business in Texas. Published monthly for over 70 years. Back then if you had all the "dope", you had all the "scoop" or all the information.